Publishing your research beyond your Trust is important. It shares your findings with a bigger audience enabling more people to benefit, and it prevents duplication of NHS effort. So make sure that 'publication' is one of your planned research objectives. Published research is also great for your CV and valuable evidence of CPD. If pharmacy is to evolve in an evidence-based way, you should publish even if your results are negative or not what you expected. We're going to look at two methods: writing a poster for a conference (below), and publication in a journal (next page). But there are other methods. You could disseminate your findings via a website for example, or give an oral presentation to an audience. Disseminating your research via a poster presentation is less time consuming than writing a paper for a journal, and it will reach a smaller audience. 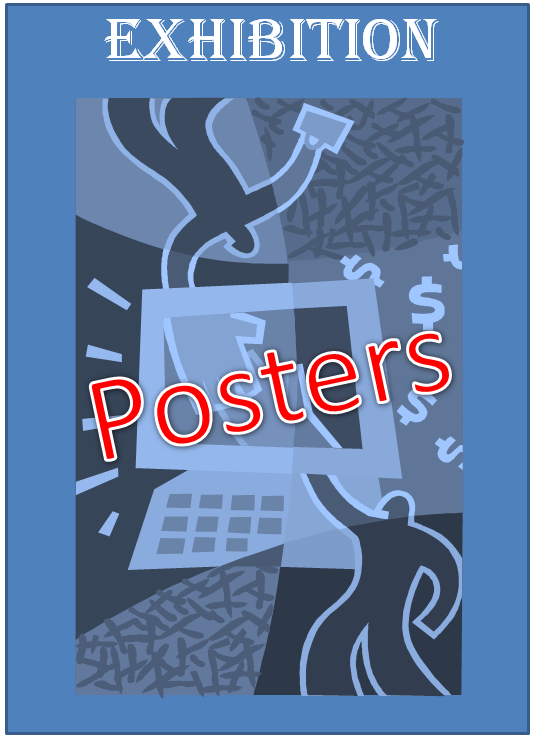 But presenting a poster means that you will have the opportunity to interact with conference attendees, share ideas, and get feedback. The structure of your poster may be determined by the conference organisers, and throughout your preparation it's vital to check their requirements before you do anything. For example, usually you need to submit a synopsis or abstract first, and the conference committee will only allow you to present a full poster if your work meets their submission criteria. Why you did it, and how your work fits into practice (Introduction). Some important raw data and how you analysed it (Results). What you think the results mean for practice e.g. how can your work improve patient care, or make pharmacists more efficient? (Discussion). Two or three significant take-home messages (Conclusions). Establish the size and shape your poster needs to be (i.e. portait or landscape), and how it will be mounted. With respect to style and design, successful posters use a mixture of text, tables and graphs, and occasionally pictures. The use of colour is important because it is eye-catching and attractive, but too much is as bad as too little. Ensure that you present the information in a logical and easy-to-follow, uncluttered format. Concentrate on your key messages and don’t include too much text because it puts people off: use bullet points to reduce your word count and allow plenty of blank space. The font size should enable the poster to be read from a distance of 1.5 metres. Before the conference, prepare for the questions that you may be asked. You might like to produce handouts or business cards for delegates to take away. Go armed with velcro and drawing pins and make sure that you allocate enough time to put up your poster. Is my poster relevant to the conference audience? How could it change their practice? How original is my research, and have I explained this? Is the impact of my research clear? What are the take-away messages? Have I presented my work in an attractive way? You might like to look at two examples of posters that won conference prizes. The first concerns patients and ADR reporting and the second is about training community pharmacy staff with problem-solving skills. 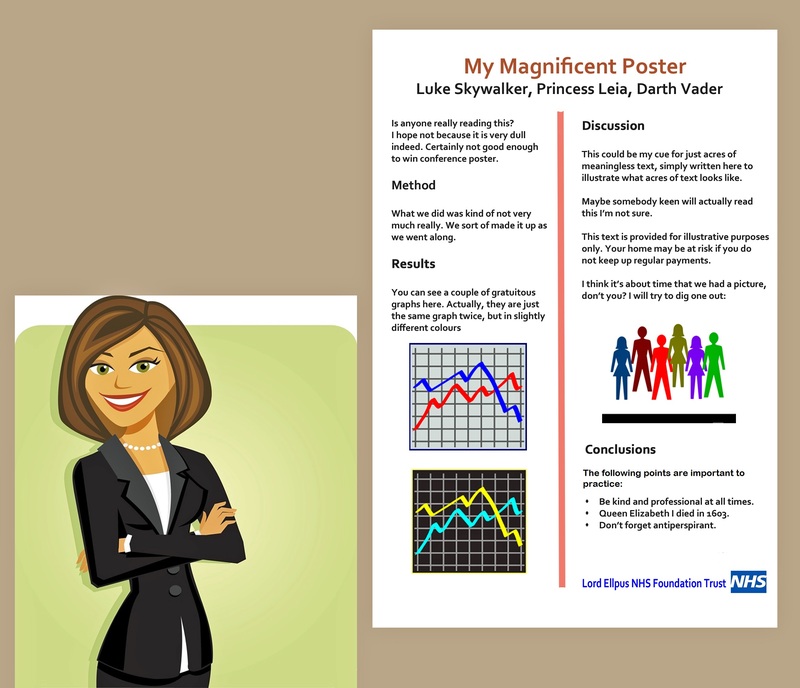 The Royal Pharmaceutical Society also has a guide to presenting a conference poster.